Security is of vital importance in our modern lives. We expect (and deserve) to have a safe, protected home. While that may involve advanced technology, including security systems that incorporate features like motion detection or web cams, there is no denying that good home security begins with strong locks. Of course, locks have their downsides, as well. If you’ve recently moved into a home, changing the locks is going to be high on your list of priorities. If you’re renting a home, you’ll want to do the same thing. You’ll want to be careful about whom you give keys too, as well. Of course, there’s also the potential that you’ll lose your keys, or even leave them inside when you close and lock the door. In all of these cases, the skills of a reputable, qualified locksmith are vital. A locksmith can refit your home with new door locks. They can rekey old locks if you want to keep the lock bodies due to their aesthetics, or historical accuracy. They can also open up your home should you find yourself locked out without your keys. There’s no denying the value of a good locksmith, but there’s also no getting around the fact that you need to choose the right one. 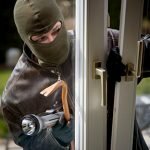 You cannot afford to take chances with your home’s security, or your personal safety. So, what goes into making a reputable locksmith? 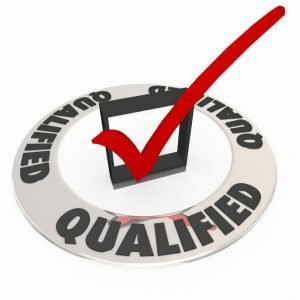 What locksmith qualifications and qualities should you look for? While a locksmith will learn many of his or her skills on the job, the base education and training are provided through formal education. It actually begins in high school, with a focus on math and engineering related topics. However, the locksmith should also have completed a higher education course with a technical college or community college. These programs may last between six months and two years, depending on whether it is an accelerated program or not. Either way, the locksmith will emerge from their training program with a certificate proving their competence and knowledge. Note that some locksmiths will also complete an extended apprenticeship program that may last up to three years. Like many other professions, there are governing bodies within the locksmith industry that help to hold working professionals to a high standard of ethics, to guarantee a specific level of knowledge and expertise by individuals within the profession, and deliver peace of mind to potential customers or clients. Within the locksmith industry, one of the most reputable such bodies is Associated Locksmiths of America, or ALOA. Within the ALOA, you’ll find a number of different credentials, depending on the locksmith’s level of expertise, knowledge and experience. The base credential is Certified Registered Locksmith. Next up is Certified Professional Locksmith, followed by the highest credential, Certified Master Locksmith. They have been vetted by an industry organization. They adhere to a high standard of ethics. They have the training and experience necessary for the job. They take their clients’ security and safety very seriously. They have additional training in fields such as electricity, alarm systems, keyless locks, and more. The Better Business Bureau is an invaluable tool that can (and should) be used to vet just about any business with which you work, particularly professional services providers like locksmiths. Visiting BBB.org allows you to put in the business name (whatever name the locksmith is using as their DBA name). You’ll then be presented with a page filled with information about the professional, or the locksmith company if you’re working with a larger business, rather than an individual. Of particular interest on this page is the locksmith’s rating, which may be A+, A, A-, B+, B, B-, C+, and so on. These ratings mirror the grading system most of us remember from our school days. Obviously, the higher the rating, the better the quality of the professional. You can also read about problems that customers have had with the locksmith, as well as how those problems were solved (if they were solved at all). 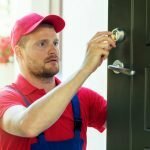 In addition to providing you with information about the quality and reputation of a locksmith in your area, the Better Business Bureau also offers access to accredited businesses. Note that accreditation is only available to select businesses that the BBB feels uphold accreditation standards to the highest degree possible. Also note that accreditation is separate from the letter grade, so an accredited locksmith with an A+ rating would stand out as being one of the best options in your area. To find accredited businesses through the BBB, simply tick the BBB Accredited slider at the top of the area search results page. Finally, the locksmith that you use should be licensed and insured. All locksmiths must be licensed by the state government, and they must also carry insurance – the insurance policy would kick in to cover damage done accidentally during lock service, or if the locksmith were injured while on your premises. The license proves that the locksmith meets the state’s requirements in terms of education and training. When considering your options, always ask for proof of both licensure and insurance. If the locksmith cannot or will not provide that proof, it’s best to look elsewhere. Ultimately, choosing a locksmith is not as simple as just browsing through online search results, or looking in the Yellow Pages. You need to ensure that the professional you use is licensed and insured, that they have the training and education necessary, and that they have a reputation for quality service and reasonable rates. Always do your due diligence before hiring any professional services provider, including locksmiths. Ideally, you’ll create a list of several different professionals, and then compare them to one another to make the most informed decision. However, it’s important that you do this ahead of time – comparing service providers while you’re locked out of your house in the pouring rain isn’t conducive to making good decisions.